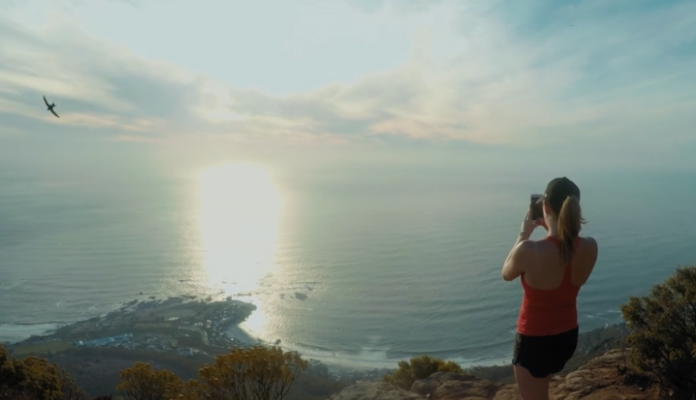 If South Africa’s tourism board have got any sense, they’ll be picking up the phone and offering George Cotterhill a job, after he crafted a mesmeric three-minute video exhibiting the best things Mzansi has to offer. His whirlwind tour of the Western and Eastern Capes (uploaded to Vimeo) features everything you could wish to see on a truly South African holiday. We try our best not to succumb to jealousy, but there’s very little we can do to stave off the FOMO whilst watching this. He and his partner first take on the hikes of Table Mountain and Lion’s Head. Then, the pair hit wine country for an unforgettable Franschhoek visit. They eventually make their way down the Garden Route, before ending up on Safari in Shamwari, EC. Their adventures across land, air and sea have become a hypnotic “must-watch” featurette for any proud Saffer or expat feeling like they’re due a return home. Cotterhill felt the love from his viewers, too. The footage has been viewed over 15,000 times, and users of the Vimeo site praised him for the “beautiful job” he did of capturing South Africa in all of its glory. The British filmmaker took it all in his stride, re-iterating his feelings that SA was “an amazing country”. However, we aren’t the first gorgeous part of the world that’s received the George Cotterhill treatment. Santorini (Greece), Amsterdam (The Netherlands) and the Amalfi Coast (Italy) have all had their own three minutes of fame on George’s channel, too. For those of you wondering about the more technical aspects of the video, all footage was shot using either the Sony A7S2, a GoPro Hero 5, and DJI Mavic Pro.